Middle school students can be high energy and constantly moving! So, it’s always best to keep them engaged, using interactive lessons and activities whenever possible. This interactive lesson and activity was shared by Donna Cabrera of Martin L. Mattei Middle School, Pittston, Pennsylvania. 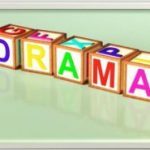 In this lesson, Donna has her students learning about the ages and stages of children in a fun, creative, dramatic way; skits! Continue reading to see how she does this!